Dinis Guarda is an author, speaker, serial entrepreneur, advisor and experienced CEO. He creates and helps build ventures focused on global growth, 360 digital strategies, sustainable innovation, Blockchain, Fintech, AI and new emerging business models such as ICOs / tokenomics. Dinis is the founder/CEO of ztudium / blocksdna / lifesdna – one AI P2P, fintech, blockchain, search engine and PaaS in consumer wellness healthcare and life style with a global team of experts and universities. Dinis is the author of various books. His upcoming books “Blockchain, AI and Crypto Economics – The Next Tsunami?” and “Tokenomics and ICOs – How to be good at the new digital world of finance / Crypto” will be launched in 2018. 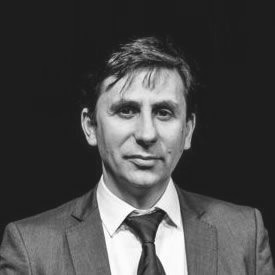 Dinis is involved as a strategist, board member and advisor with the payments, lifestyle, blockchain reward community app Glance technologies, for whom he built the blockchain messaging / payment / loyalty software Blockimpact, the seminal Hyperloop Transportations project, Kora and blockchain cybersecurity Privus. He is listed in various global, Top fintech people, Top people in blockchain, AI, social media industry top lists as an influencer in position top 10/20 within 100 rankings. He is a shareholder of the fintech social money transfer app Moneymailme and math edutech gamification children’s app Gozoa. Between 2014 and 2015 he was involved in creating a fabbanking.com a digital bank between Asia and Africa as Chief Commercial Officer and Marketing Officer responsible for all legal, tech and business development. Between 2009 and 2010 he was the founder of one of the world first fintech, social trading platforms tradingfloor.com for Saxo Bank. In 2011 he created the B2B platforms socialmediacouncil.org and openbusinesscouncil.org with Jamie Burke. He has been working with the likes of UN / UNITAR, UNESCO, European Space Agency, Philips, Saxo Bank, Mastercard, Barclays to name a few. He has been advising governments and regulators all over the world. Dinis holds a BA, from Lisbon University, a Master from London South Bank University and attended the Blockchain Strategy Programme at Oxford Said Business School. Wealth Intelligence! How Many Billionaires there are in the world? Why Create A Fund Or A Hedge Fund?